The 19 year-old versatile back arrived at National One side Fylde from Kirkham Grammar School, but it hasn’t taken him long to find his bearings at Woodlands. Having played at winger, full-back and scrum-half, Carleton has quickly become a regular for Warren Spragg’s side and has scored three tries this season, including a match winning effort against Rosslyn Park in Fylde’s first victory of the campaign. “It has been a learning curve so far,” Carleton told NCA. 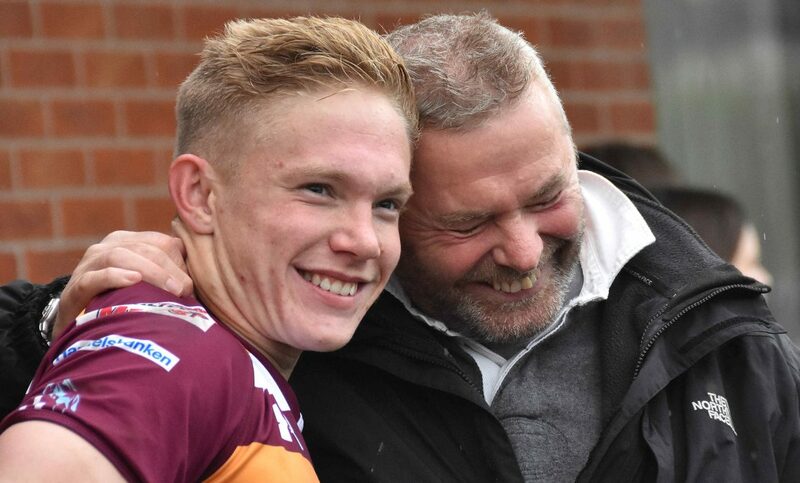 “I played a couple of games for Fylde last year, but I have now moved from school rugby into National League rugby. “For me, I want to continue to establish myself in National One. I am playing for Sale Jets a bit too and I want to do all I can for them and for Fylde this season. Carleton is the son of former Lions and England player, John, but he was mainly into football when he was growing up in Wigan. However, attending Kirkham opened the door for Carleton to play rugby and then represent England Counties and Fylde. Carleton has started every game this season for Fylde, but it has not been an easy campaign for the Lancashire side who currently lie bottom of National One. “We have had a lot of injuries which has led to us under performing,” Carleton adds. “We have a lot of youth in the squad and some new experienced players so we are still a relatively new side. Victory away at Woolams last Saturday was Fylde’s second of the term, but they are still eight points adrift of safety heading into their clash with Blackheath this weekend. Carleton adds: “We are back on the right path I think. We now want to maintain that buzz, but we know we can still improve. We won’t prepare much different for this weekend at home to Blackheath and it is a great chance to test ourselves.